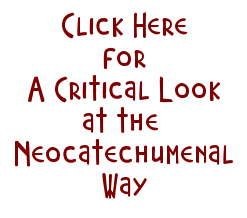 The Second Scrutiny of the Neocatechumenal Way initiates a substantial revenue stream for the sect, and anything that might dissuade others from joining the sect, such as coerced donations and psychological abuse, must be kept strictly secret. Kiko Argüello's plan for doing this is ingenious. 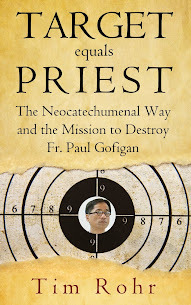 He took a treasured element of the traditional catechumenal process, the Rite of Salt, and gave it his own twist...Read more. I bitterly regret that I didn't publicise the horrendous mental abuse in my presence against some who are still in the "communities" to this day, as well as some who were so extremely damaged they fell away. I didn't believe in the Way, after that, at all, but I continued attending especially the Wednesday Bible studies because I was lonely. After one of the "scrutinies" - I forget whether it was the 1st or 2nd - my PP paid off someone's mortgage then bought a lady a new car. It was in the paper that he had a "relationship" with the unnamed lady. It would have been more sensible for the finance committee or charity committee of the parish to have identified a larger number of recipients, but he didn't believe in collaborative ministry. He resisted redeployment like your Adrian.